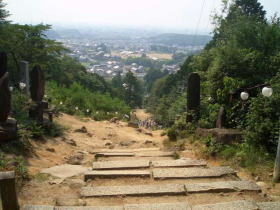 Sengen Shrine is located at the foot of Mt.Owari-Fuji (277.0m), in the southern part of Inuyama City. 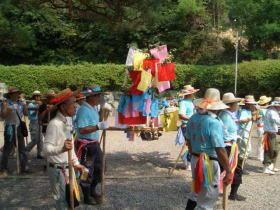 It is said that Ishiage Matsuri is one of the three strange festivals of the Owari region. between Mt. Owari-Fuji (Owari-Fuji/尾張富士) and its Southern neighbor Mt. Honguu (Honguu-san/本宮山). 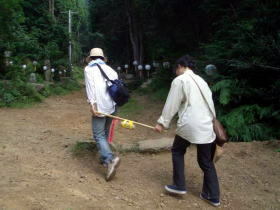 to stay and train at Owari-Sengen Shrine. One night, the enshrined Goddess, Konohanasakuyahime-no-mikoto, appeared in his dream. She complained about that Mt. Owari-Fuji is shorter than Mt. 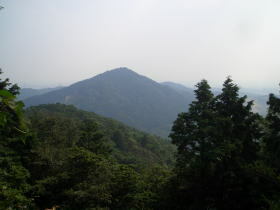 Hongu, the neighbor mountain. 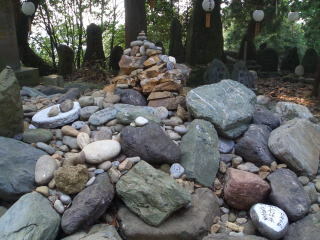 She also told him that anyone who pile up stones and make it higher, she will make their wish come true. People in the village heard this story. Between 1834 to 1837 a mighty famine called "Tempou no kikin" striked Japan. for rich harvest, long life, prosperity of their posterity, etc. 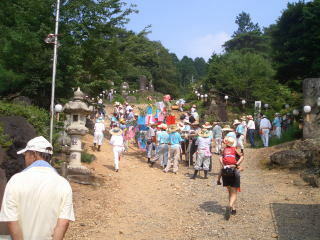 It is said that this was the beginning of this festival. People who live in a area, students, colleagues, etc. 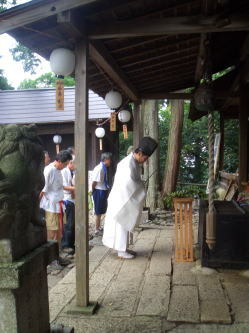 which are decorated with five colored cloth, to the top of the mountain. From 8:00a.m. to 8:00p.m. 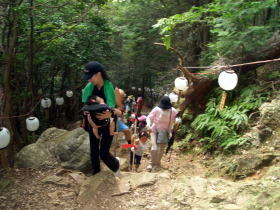 approximately 500 groups carry stones to the top of the mountain. Night Festival is also epic and good to see. 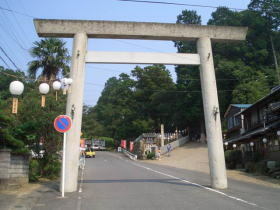 They make bonfires at 108 points and hold shinto ritual called "Hiburi-no-shinji"
Get off at Inuyama sta. on the Meitetsu Inuyama line. Take bus bound for Meijimura, and get off at Owari-Fuji stop.